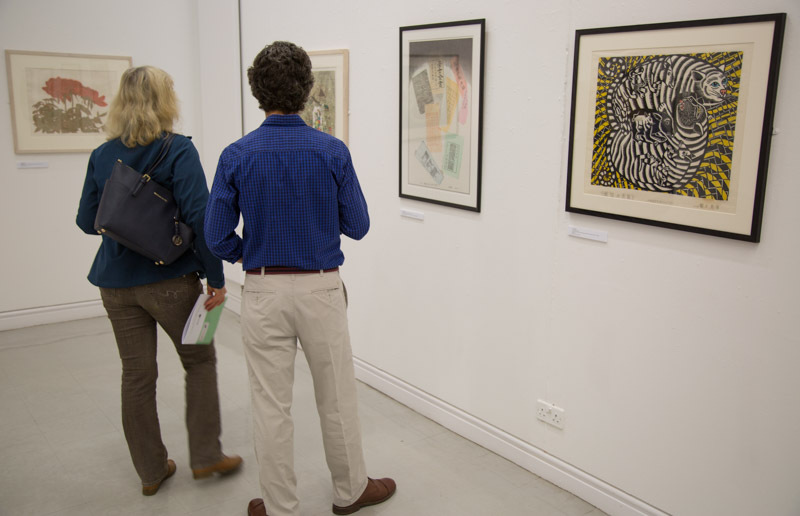 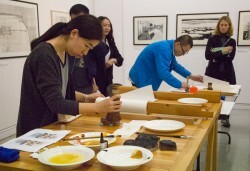 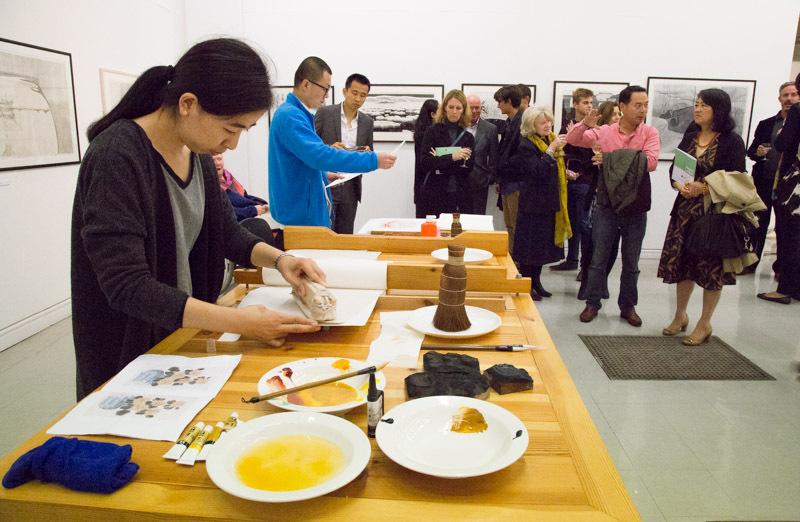 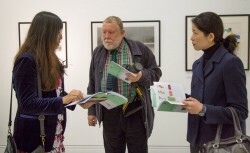 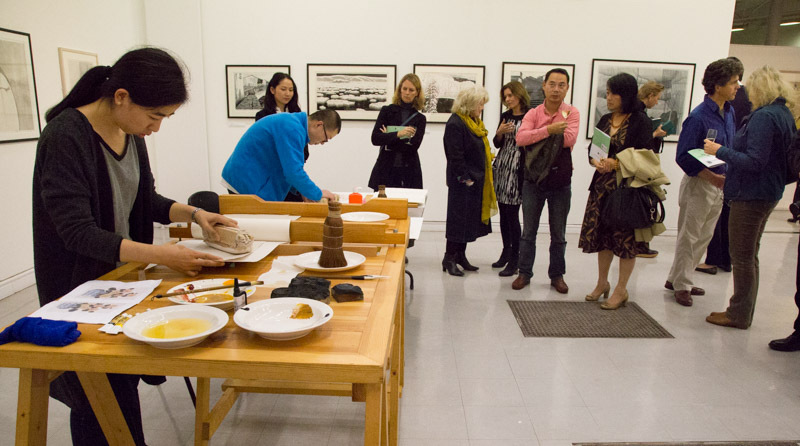 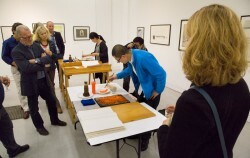 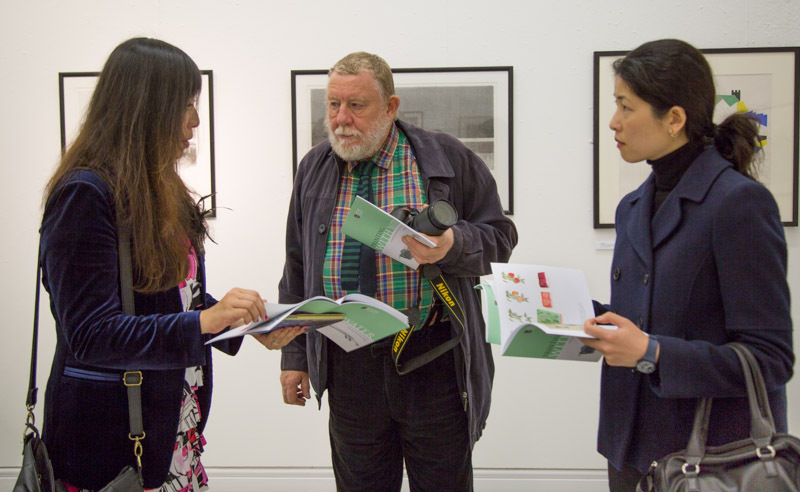 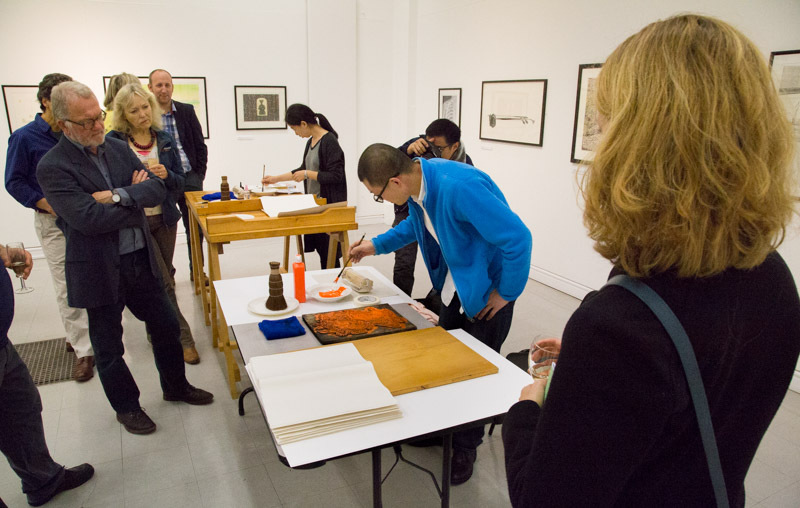 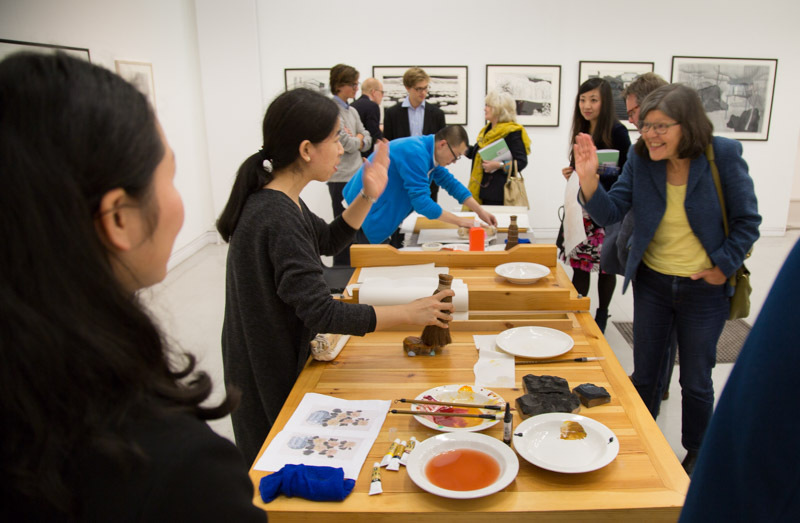 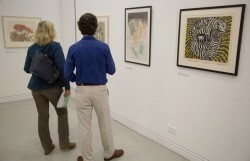 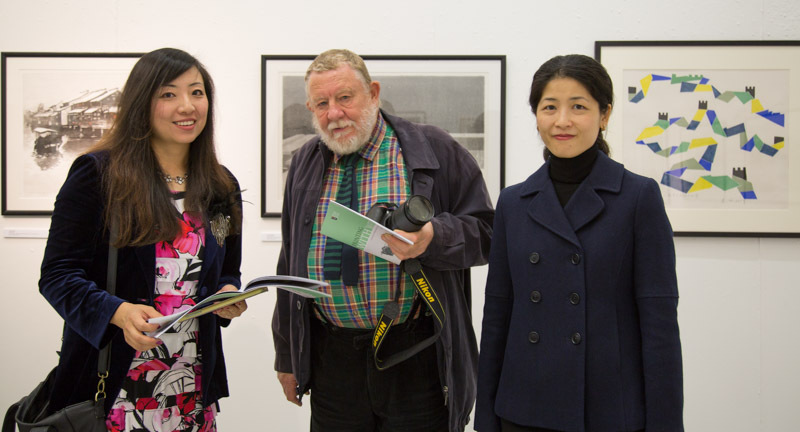 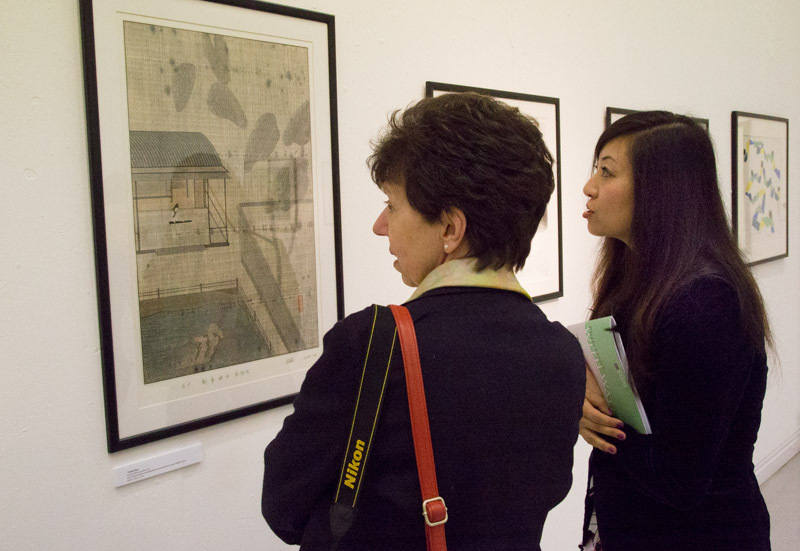 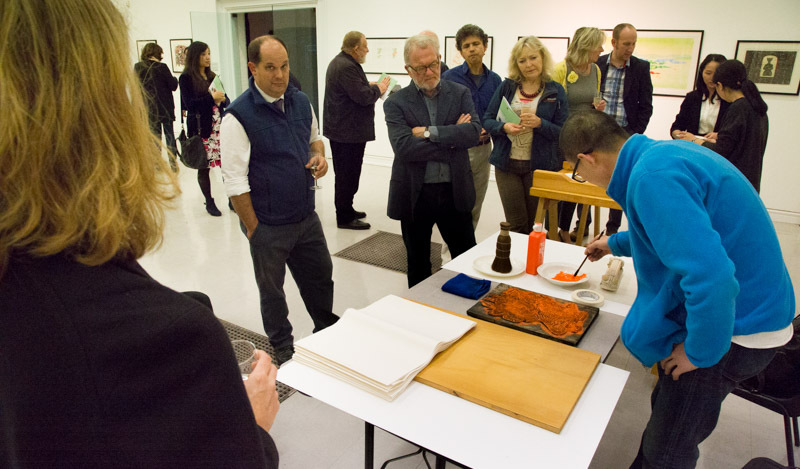 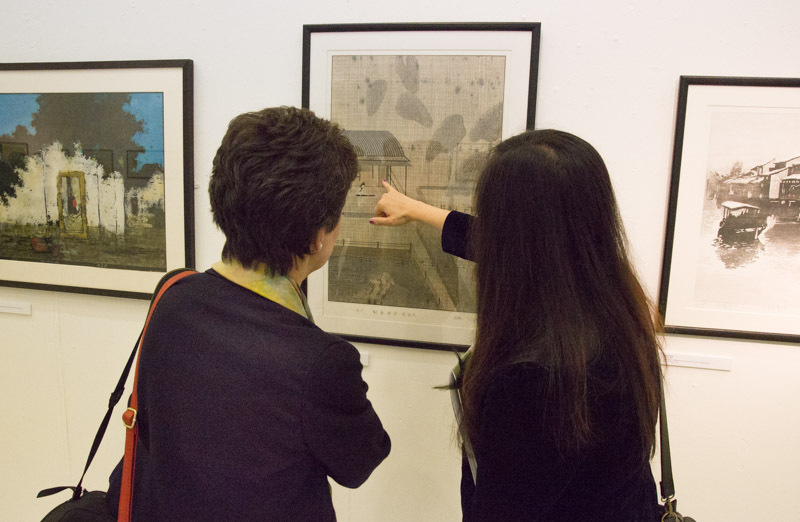 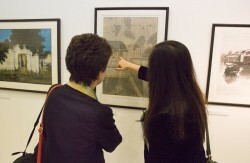 The MET and Xuyuan exhibition, Printing with Water, opened at Eton College’s Drawing School on 23 September. The exhibition will close on 19 October. 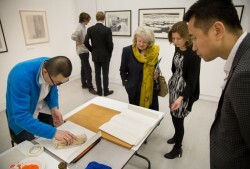 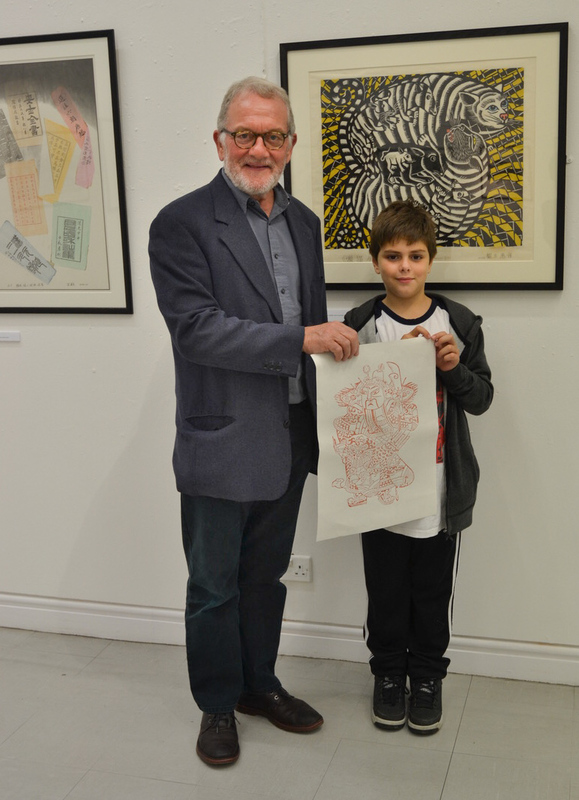 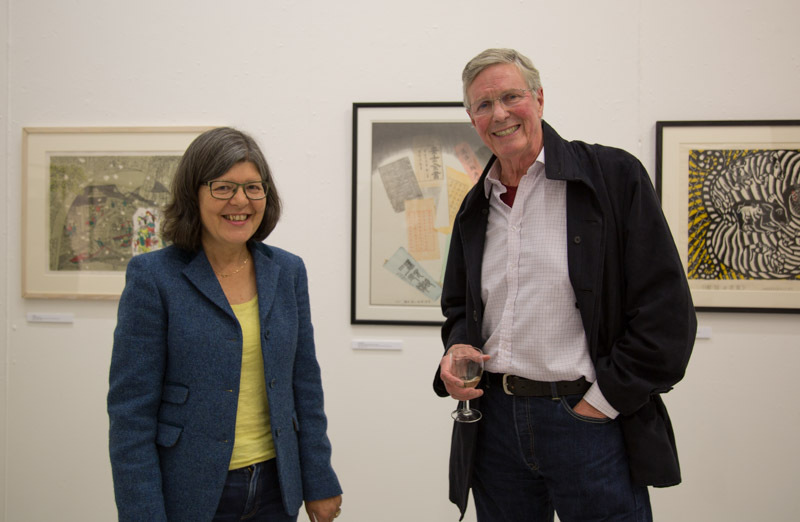 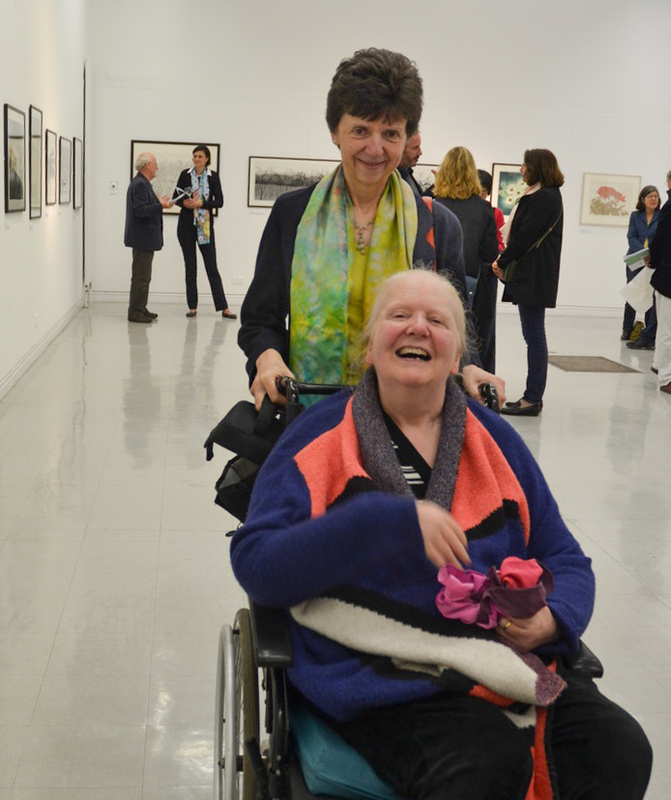 Many distinguished guests attended the Private View on 23 September. 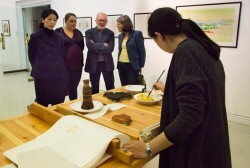 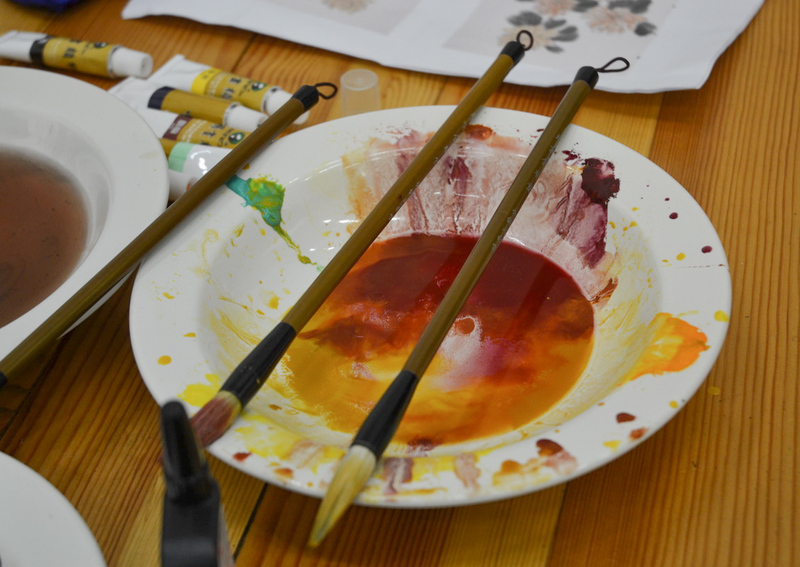 Two artists from Xuyuan carried out demonstrations on shuiyin printing.